An Afghan businessman with good English, admiration for the United States and a carpet enterprise in Virginia, Mohamed was a regular at our visa counter in Jeddah. The next-to-last time we met—11:15 a.m., December 6, 2004—a blast-resistant window separated us. The day’s final applicant, he was alone in the waiting room when the high-low alarm started wailing. An Afghan male taking refuge in Saudi Arabia after the Soviets invaded his country, Mohamed knew patience where visas were concerned. We liked him and he liked us, but rules were rules. He understood the process, though our implied distrust hassled him. “Some drill,” I said to a colleague crouched beside me. The poison gas we’d trained against? We had no masks at the counter. I crawled to my office for a Quickmask. Shadows crossed the blinds above my desk—clouds or terrorists? How many doors between me and the gunfire? A colleague in Riyadh called, described CNN’s coverage of smoke billowing from our compound. “Turn off your phone,” he said. So I had that to think about. What did the attackers fail to understand about America to make them want to kill us? What perceived failings of ours mobilized their anger? Mohamed spoke of Kabul, of life before the Russians, of his admiration for all things American. Tickets to my next diplomatic assignment in hand, I visited his shop in Jeddah for gifts. I chose an hour when we’d be locked in alone while the rest of the city knelt in prayer. There was tea, of course, and piles and piles of deep red Turkmen carpets. We toured his shop, dark, labyrinthine, crowded with carpets and art. I felt safe hidden within this dim, antiquated scene. We reached tour’s end and sat on a pile of soft wool carpets at the rear. Mohamed spoke of Kabul, of life before the Russians, of his admiration for all things American. He pulled out his wallet, and I prepared to say agreeable things about cherished family photographs. Instead he thumbed a tattered card. Decades later, a refugee in a country that could never be his own and that had its share of killers who hated an America they didn’t know, Mohamed kept the memory as close as possible, tucked in his wallet among his cherished things, deep in a pocket of his robe. 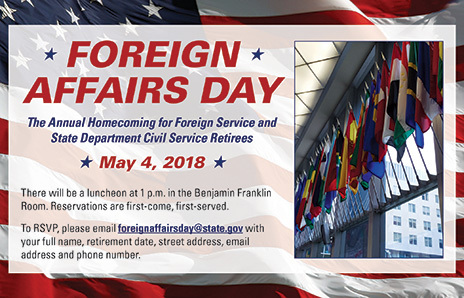 Ben East is a Foreign Service officer who has served in Saudi Arabia, Nicaragua, Ghana, Mexico and Washington, D.C. Before joining the State Department he taught English literature and composition in Malawi as a Peace Corps Volunteer and elsewhere. 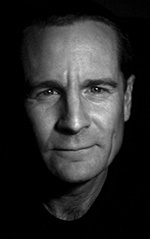 His debut novel, Two Pumps for the Body Man (New Pulp Press, 2016), has been described as “doing for American diplomacy what Catch-22 did for military logic.” His articles have appeared previously in The Foreign Service Journal, and his short stories have appeared in the online literary journals Atticus Review and Umbrella Factory Magazine.